When your dentist discovers that you are in need of a root canal, he will typically refer you to an endodontist. In this video from the American Dental Association (ADA), you will learn all about endodontics and how they can help to restore your smile. The term endodontics refers to any type of dentistry that deals with the root or pulp of the tooth. Visiting the best dentist in NYC will help you ensure that you get referred to a qualified endodontist. If you are concerned that you may be in need of a root canal in NYC , do not hesitate to call Park 56 Dental at (646) 783-3529. Our dentists are experienced in treating root canal pain, and we can refer you to the best dentist that offers endodontic procedures in the NYC area. Dental implants can be used to replace missing teeth in your smile. If you have found yourself hiding your teeth because you are embarrassed of your dental damage, now may be the right time to talk to your dentist about the benefits of implants. The best dentists in NYC will provide you with a safe and gentle implant procedure that will dramatically improve your smile. Let’s take a look at some factors that will help you decide whether you are a good candidate for dental implants. One of the most important factors that you and your dentist will need to talk about prior to your implant procedure is the overall health of your teeth and gums. In order for your implants to integrate with your jawbone successfully, they will need to be placed in a healthy mouth. If you do not have a history of serious oral health issues, dental implants may be right for you. Your dentist may also need to examine the condition of your jawbones before he can provide you with dental implants. Since your implants will be placed directly into your jawbone, there will need to be enough healthy bone mass available to complete the procedure. If your jawbones have deteriorated, you can explore other cosmetic dentistry options or bone grafting procedures to rebuilt the foundation of your smile. After your dental implants have been put into place, it will be very important to make sure that you practice proper oral hygiene for the rest of your lifetime. Neglecting to brush and floss around your implants can lead to decay and other serious issues. If you would like to speak with a top dentist in NYC about your dental implant procedure, contact Park 56 Dental by calling (646) 783-3529. From dental bridges to implants and more, we provide our patients with many different cosmetic dentistry options. Our team is looking forward to helping you improve your smile. The best dentists in NYC recommend dental implants to replace one or more missing teeth, because implants can last a lifetime. Dental implants are also the best solution to prevent bone loss in the jawbone and maintain patients’ beautiful smiles. Patients missing even one tooth can benefit from a single tooth dental implant. Read on for more information about implants. A patient will receive a single tooth implant when he or she is missing one or more teeth. The single implant will be placed directly into the patient’s jawbone to replace the missing tooth. A single dental crown will be used to replace one missing tooth. An implant-supported dental bridge will likely be used to replace two or more missing teeth in the same area. Top dentists in NYC may recommend more than one implant if there are several missing teeth. The dentist will determine the patient’s candidacy based on various factors, including overall health and level of bone growth. The patient may require bone grafting procedures, in addition to the implant surgery, which can lengthen recovery times. Once the patient arrives for the implant procedure, he or she will be given a sedative and local anesthetic. The dentist will make an incision in the gum and place the titanium implant directly into the jawbone. Over the course of three to six months, the patient’s mouth will heal and a crown or bridge implant can be worn. Dental implants require simple, daily care that is similar to routine dental care. Single tooth implants will likely remain in the mouth at all times, so it is necessary to brush twice a day and floss once a day. Maintain a healthy diet filled with vegetables, protein, fruit, and vitamins. Patients can ensure their dental implants last for decades by maintaining a healthy lifestyle. Learn more about dental implants near NYC with the specialists at Park 56 Dental. We provide a multitude of services for patients with all types of dental concerns. Please call us at (646) 783-3529 to schedule a consultation. As you can see in the video, there are several benefits that come with Invisalign treatment. The best dentists in NYC recommend Invisalign for these benefits that can restore your smile in a quick and painless manner. Read on to learn the benefits of Invisalign. Invisalign uses clear, plastic aligners, which makes them nearly invisible. Invisalign aligners are removable, which make it easy for you to eat or drink the items you want. There are no painful side effects, such as metal sensitivity, with Invisalign. With the help of the best dentists in New York, you can virtually see the course of your Invisalign treatment in your dentist’s office. Park 56 Dental offers Invisalign in NYC to straighten and correct your smile. Please call us at (646) 783-3529 to schedule a consultation with our dentists to learn more about Invisalign in NYC. Dental emergencies can occur at any time, so it is crucial to work with the best dentists in New York to address your emergency as it happens. Recognizing a dental emergency is also important to ensure that you know when to visit your dentist. Let’s take a quick look at the reasons to visit your dentist during an emergency. The most common types of dental emergencies are due to trauma from a fall or getting hit with an object. If you have a cracked, broken, or knocked-out tooth, then see your emergency dentist right away. These situations can only be addressed by your dentist, and they must be done in a timely manner. 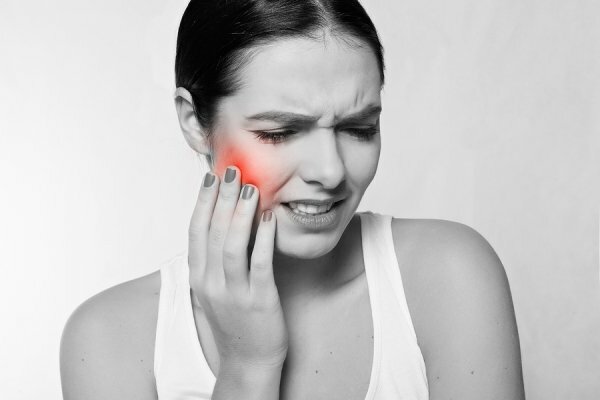 If you have a severe toothache, then you may have a tooth or gum infection. Call your dentist for a potential root canal procedure. You may also need your emergency dentist if you have an object stuck between your teeth or you have bitten your lip or tongue. Work with some of the best dentists in NYC by calling Park 56 Dental at (646) 783-3529. We can address root canal issues, broken teeth, and bitten tongues when you call for an emergency dentist appointment near NYC .